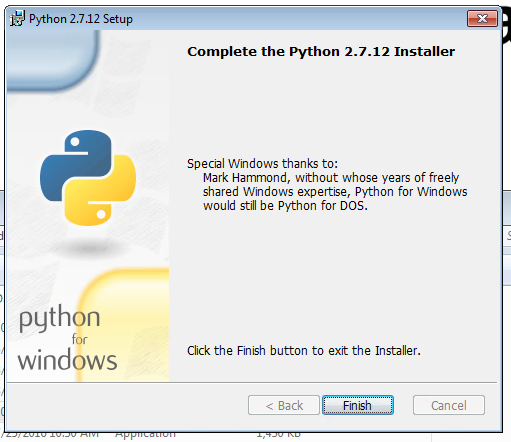 Windows does not ship with all the tools needed to install Plone for development. These are the steps needed to prepare your Windows machine for Plone 5. I assume that you're using a Windows machine on which you have enough permissions to run commands as an administrator. That's it! If you don't have a preferred text editor gedit is a simple editor for beginners. IMPORTANT, Install Git for Windows First, it adds some context tools to Windows which you will use later. Download and install git for windows from https://git-for-windows.github.io. 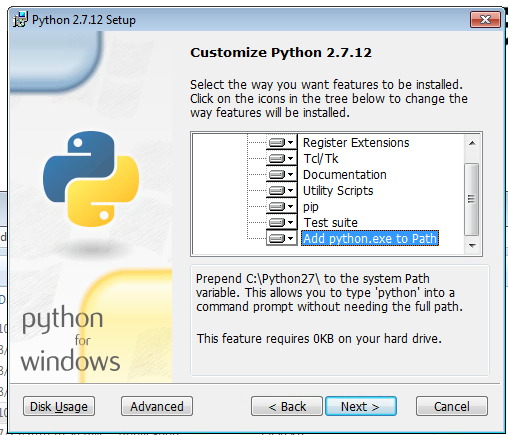 The latest version at the time of writing was Python 2.7.12. Basically it's a matter of clicking "next, next, next" EXCEPT on the "Customize" dialog. 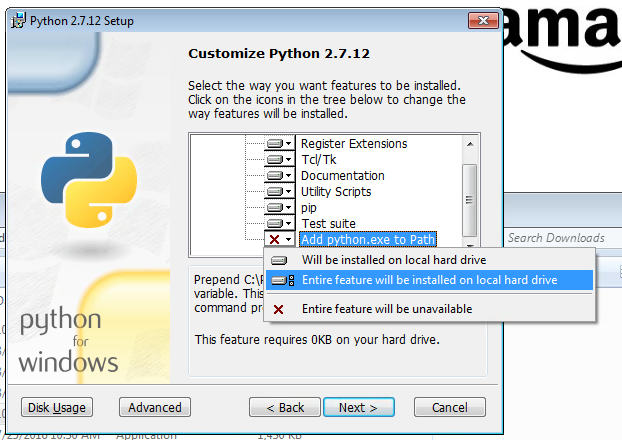 Look for "Add python.exe to Path" and make sure it is enabled (it is disabled by default). Make sure it is downloaded to your "Downloads" folder. Right click on your Downloads folder and from the context menu select Git Bash Here. This launches the Windows installer with administrator privileges. Click "Ok" to proceed. 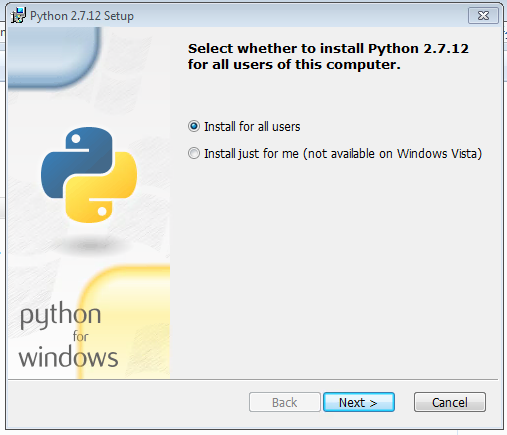 Make sure you download the latest build (220 at the time of writting) and the one for Python 2.7. Download NodeJS from https://nodejs.org/en/download/ and make sure to select the recommended version LTS. Visual C++ for Python 2.7 results in faster modules which means that Plone will run faster than if you had used an equivalent compiler like GCC+. It is more common in the Windows world to point and click rather than run commands on the command line, I tried my best to minimize interactions with the command line. The approach should feel more natural for Windows users, especially more casual users.